This Polaroid Supercolor 635 LM Program is in great working condition and in great cosmetic condition with a few scuffs and scratches on the black body and some of the silver paint scratched off the front. The output unit runs well, the pressure rollers are corrosion free, and the flash works with both green and red indicator lights on the back of the flash. The original neck strap is well attached, and everything opens and closes easily. Please see the photos for more information on the condition. 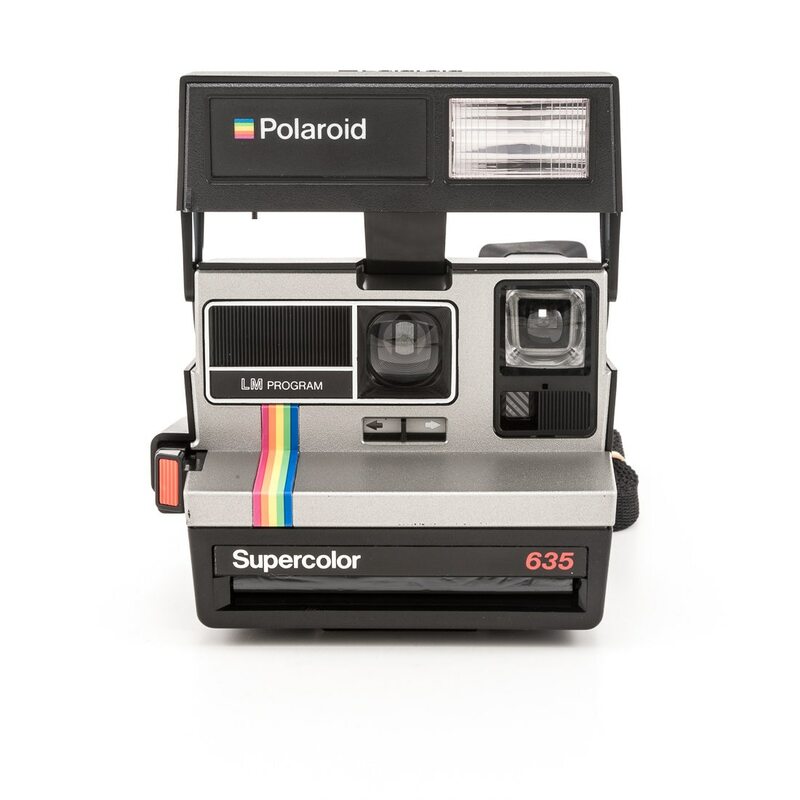 The Polaroid Supercolor is one of the numerous variations on the box-style plastic bodied 600 cameras produced throughout the 80s and early 90s. This camera also has the trademark rainbow stripe down the face. Please note that this camera has been tested and cleaned inside and out. These models were an advance on the initial series in that they included a built-in automatic flash in similar straight-edged bodies. These models have a 116mm fixed-focus 1-element plastic lens and an exposure correction slider on the front. The basic model is the One Step Flash, which came with or without a close up (CU) lens. Many variants were made for international and promotional markets.